This time of year my inner child really comes out to play. I go crazy over all things seasonal, from coffees to candles I splurge on them all. 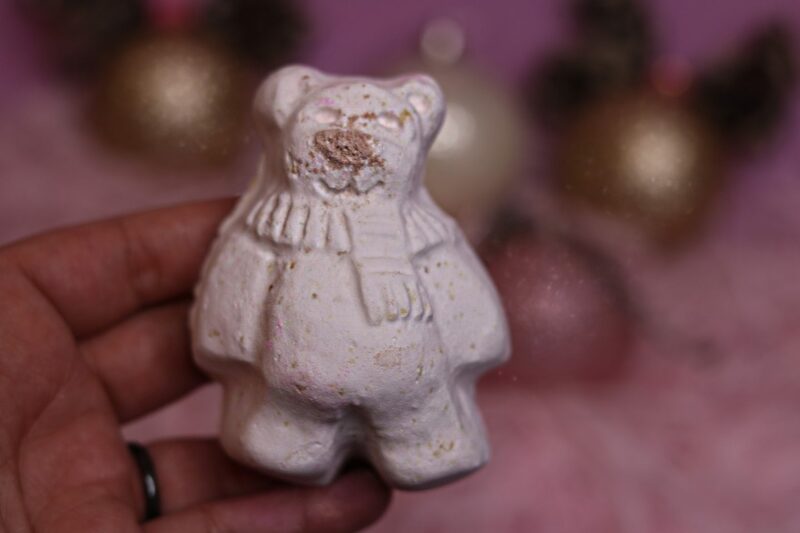 My most anticipated seasonal treats always come from Lush. No matter the holiday lush always come through with a great seasonal collection. Bath time is my sanctuary. Being a mother of two highly energetic girls locking myself away once they finally doze off is the perfect ‘me’ time. 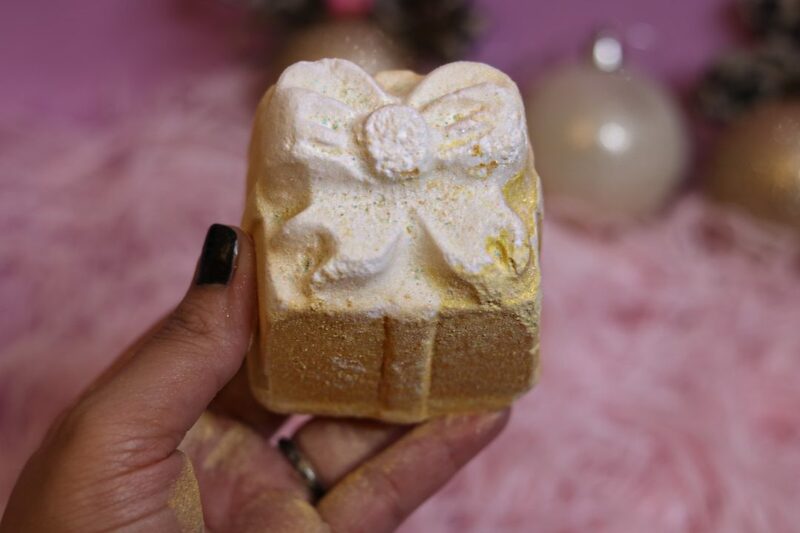 And what better way to enjoy a bath than with a beautiful bath bomb or a blissful bubble bar. So I have been to the Birmingham Lush store (cannot wait for the new spa store to open Dec 7) and well and truly stocked up for the season. 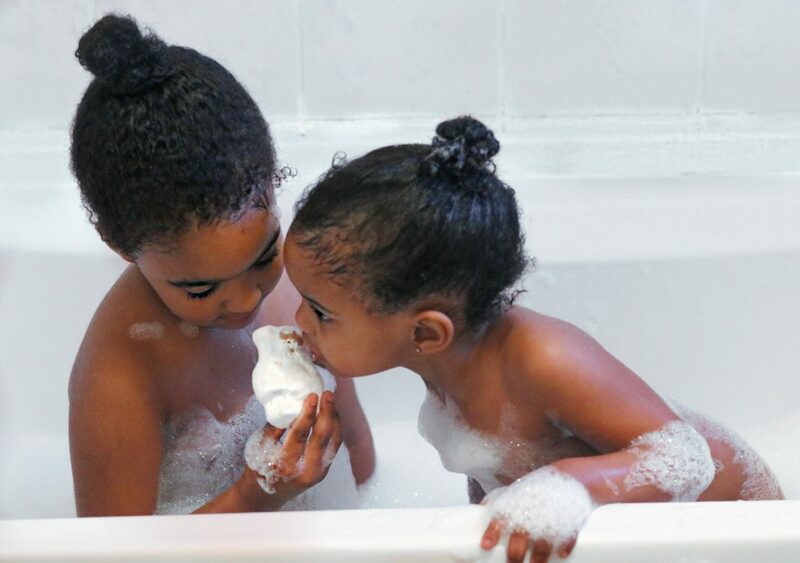 I had to buy a couple of each bath bomb as my daughter’s have found my hiding spot and pinch my pretty treats even though I keep a stack of ikkle baby bot bath bombs just for them. This cute little bath bomb smells amazing, I love ylang ylang and the scent really comes through. I share these bath bombs with the kids as the ingredients are really mild and the velvety texture of the water is soothing before bedtime. Just look at it, how could I say no? This is every girly girls dream. It smelly sweet and fruity and melts away leaves beautiful pink and purple patterns behind. This is also a really moisturising bath bomb. 100% novelty. 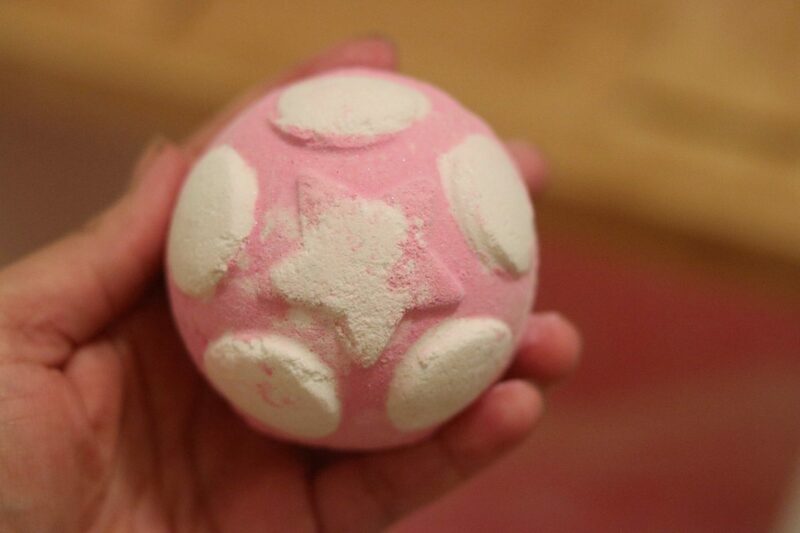 I was so happy when I found out this bubble bar was reusable. My only disappointment is that it has no minty scent. I see candy cane and my mind goes straight to a sweet pepperminty place. It smells good just not how I would assume it does. I wait all year to pick up a few of these gorgeous little gems. They look like a cute golden gift but exploded into a beautiful iridescent turquoise pool of splendour. With sweet citrus notes that linger on your skin, this is a perfect stocking filler. 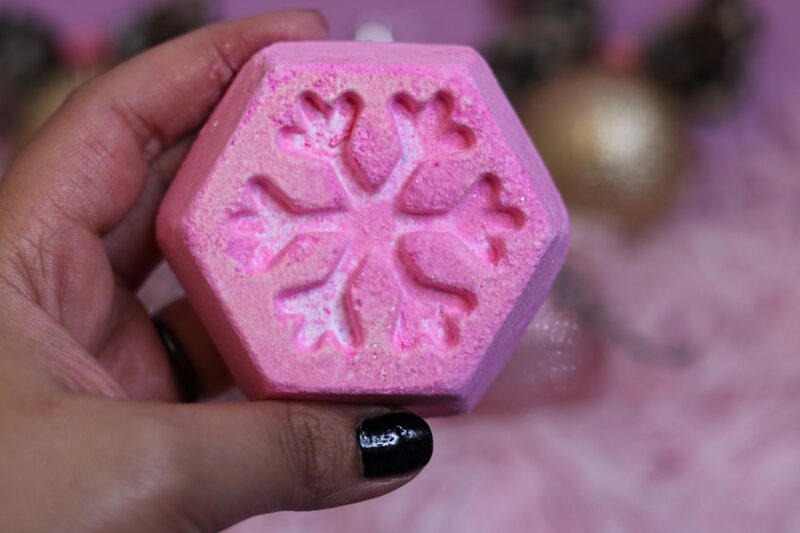 This reusable bubble bar smells divine, it hasn’t he snow fairy scent. 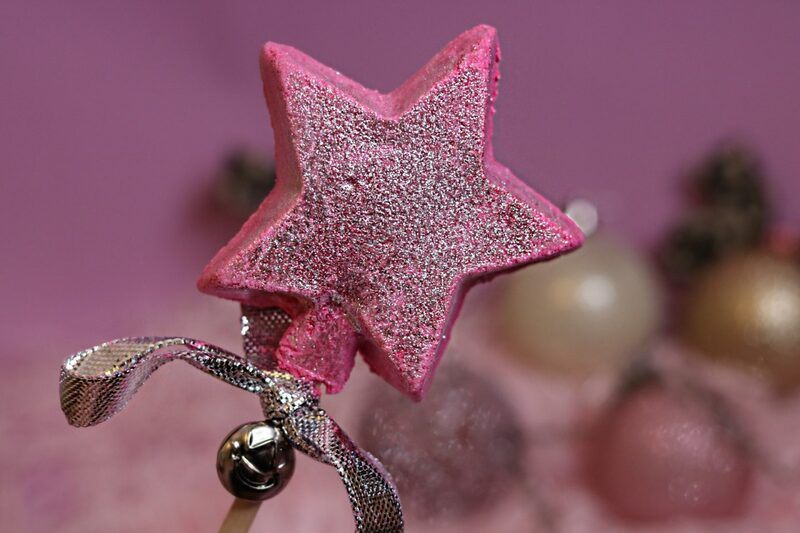 Pink and sparkly, need I say more. It turns your water a pretty pink shade and feels so relaxing. If you love marzipan this is for you! 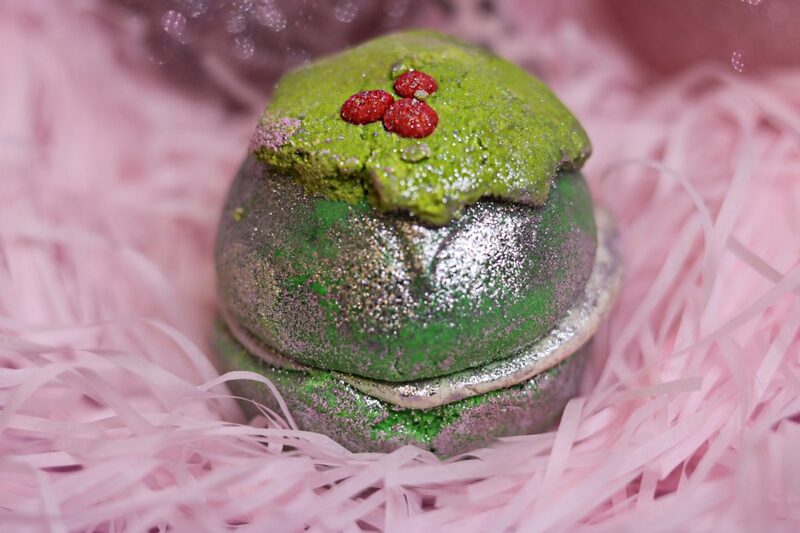 A gorgeous smelling, glittery little pud. These are super moisturising and made with almond oil (my favourite carrier oil). My daughters love that it turns your water green. Sheer indulgence. I will never have enough of these, perfect little treats. When I read it was a jelly bomb I had all sorts of cringey flashbacks to those weird kids ‘gelli baff’ things that I once had an awful experience with. But part of me just had to try it, and boy am i glad i did. This is my favourite bath bomb, my bathroom stays smelling of its snow fairy goodness for at least after I use it. I have not used a bath bomb as moisturising as this and the jelly actually feels amazing on my skin. Now I face the struggle of not bankrupting myself and constantly replenishing my supply as it is not yet December and i’m prone to buying ‘one for you one for me’ when ever I enter lush with the intention of gift shopping. This could definitely be a slippery slope. 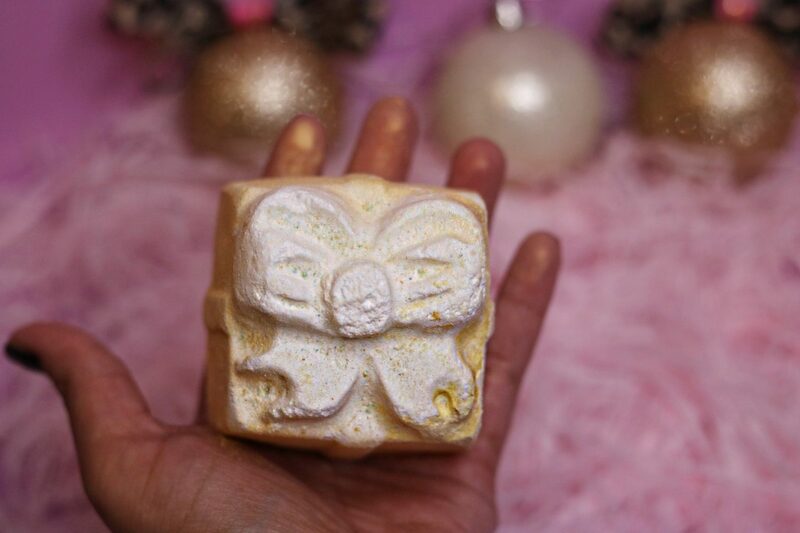 Have you tried any of the Lush Christmas collection? 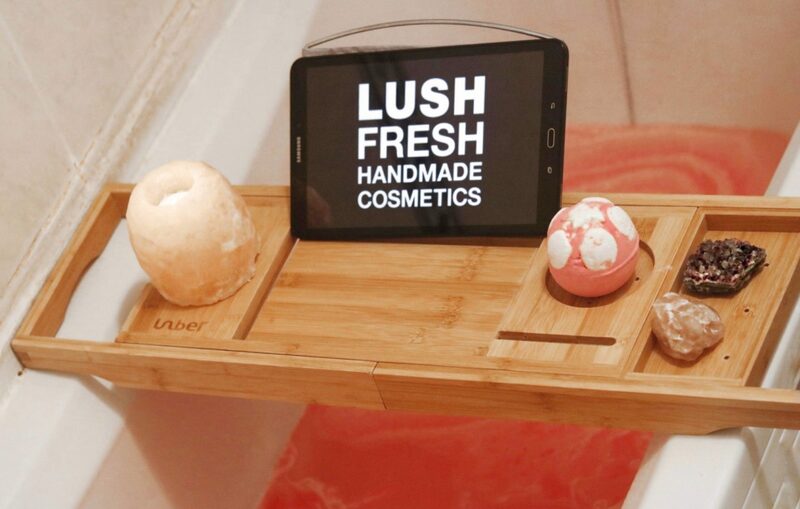 Are you going to be trying any of the Lush Spa Treatments? I am so booking a massage. 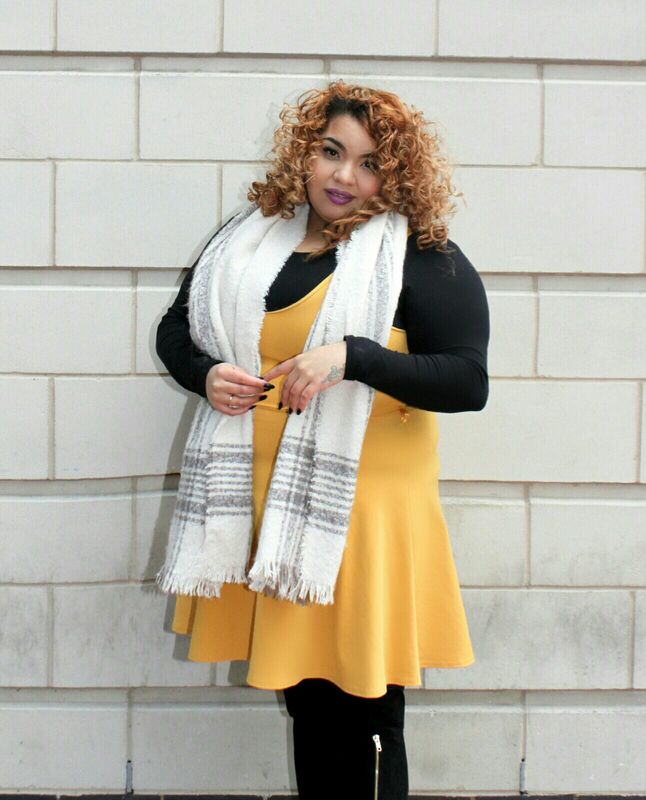 Previous Post Lets Talk: Vaginal Steaming.